Cameron Gaunce was the hero in overtime after Texas let a two-goal lead slip away in the third period and had to go past sixty minutes to finish the battle. The Stars played to an even tie at one after twenty minutes. They activated late in the second period off quick goals from Jamie Oleksiak and Scott Glennie. Brendan Ranford assisted on both of those tallies, putting him on a three game point streak with five assists in his last three games. Former Heat skater Justin Dowling also had two assists. The game pushed Texas back to the top of the heap in the Western Conference. 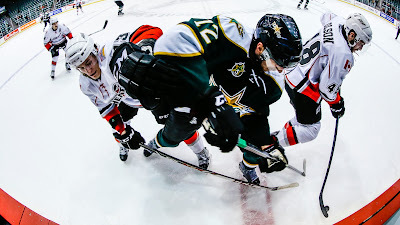 Grand Rapids had leapfrogged Texas with a win over Chicago earlier in the evening. The Stars' slim one-point lead in the conference race is nothing compared to large five-point lead they have accumulated in the division race against the Heat. Cristopher Nilstorp got the start and stopped 33 of 36 shots against him. He was also named the #3 star of the game after some dazzling saves in the third and OT to keep Texas in it. Texas opened the scoring on the power play in the first period. Derek Meech down low on the right wing side slipped the puck to a driving Travis Morin. Morin tipped the puck far side on Roy for the 1-0 lead. Sven Baertschi would return the favor on the power play two minutes later for a one all lead after twenty minutes. The Stars had to kill three penalties in the period, leading to a 12-8 shot deficit. The clubs played it tight through the second period with a moderate number of shots. Texas got lucky twice late to pull ahead in the contest. Dustin Jeffrey delivered a cross-ice pass to Jamie Oleksiak at the hashes as the Stars were breaking in with speed. Oleksiak's wrist shot deflected off a Heat defender and went high glove on Roy for the 2-1 Texas lead. Brendan Ranford picked up the second assist on the play. Ranford again generated for the Stars with just 18 seconds left in the middle frame. The rookie colelcted the puck off the pass from Patrik Nemeth behind the Abbotsford goal line. Ranford walked over to the left wing side and dished out to Scott Glennie, who was crossing to the net. 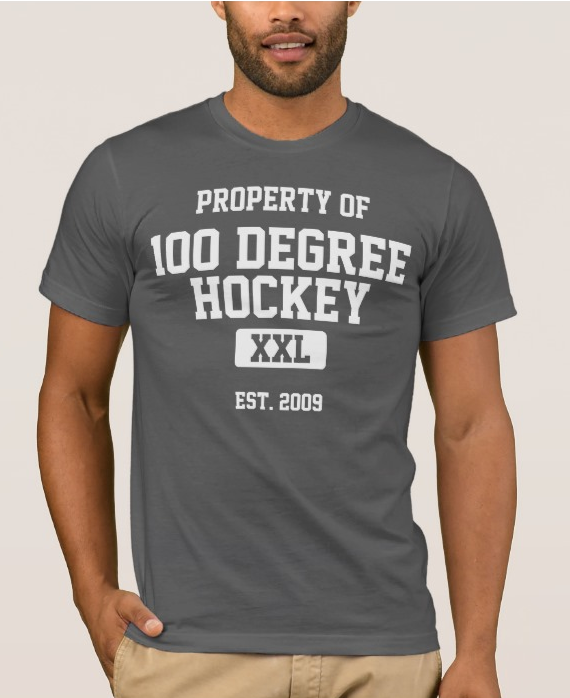 Glennie potted his 10th of the year by beating Roy on the far side despite the Heat defender draped on him like a coat. The third period saw the Heat come back to tie things up. Blair Jones went first at even strength, getting a stick on a tip coming into Cristopher Nilstorp. Ben Olson completed the comeback with a simple tap-in off a backhand pass from Carter Bancks at the goal line. Olson's goal guaranteed overtime and a point for each team. As is so often the case in overtime, a defenseman made the difference in the final score of this game. Cameron Gaunce snuck down low off the rush and deposited a paunchy rebound off the right pad of Olivier Roy, following Justin Dowling's initial shot from the half-wall. Texas returns home to play a two game set against the Charlotte Checkers. Chris Mueller was assigned today but Dallas opted to send the forward to Austin instead of subjecting him to a cross-country trip to play tonight. It would have been his 3rd game in as many nights with a cross country plane trip in between each. Probably a good call for all parties.